Arjun Bolangdy joined Pollinate Energy in mid-2015, and is currently heading up Strategy and Innovation at the enterprise. In his first 18 months at Pollinate, Arjun was Head of Operations and Technology, and has been an integral part of its transition from working in one geographic location to now working across six geographies in India. Before joining Pollinate Energy, Arjun worked at Schneider Electric, where he spent three years, from 2012 to 2015. 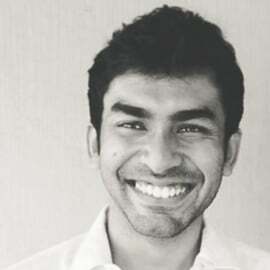 Arjun has a degree in Mechanical Engineering and is a strong proponent of bridging the energy access gap across the world - a passion that got him fascinated by Pollinate's last mile distribution of affordable renewable energy products in the urban slums of India.